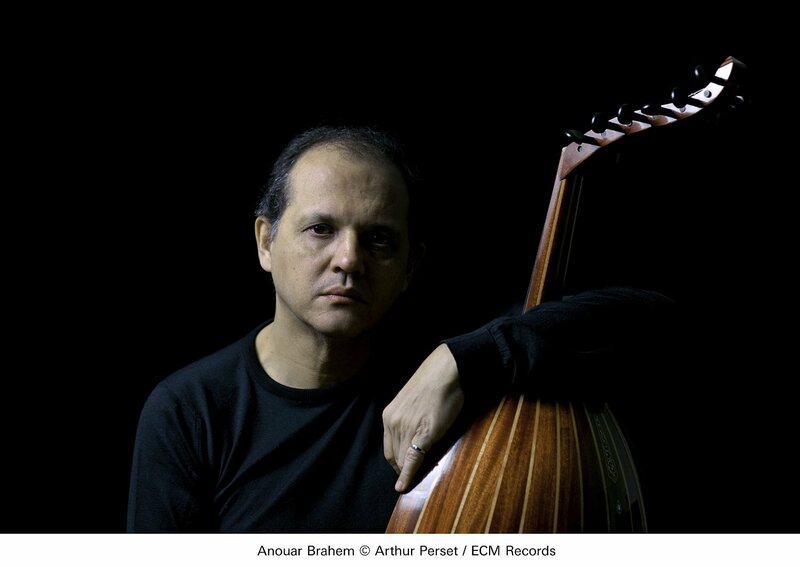 Following a six-year silence, master oudist Anouar Brahem returns to ECM Records with his most personal, yet somehow selfless, project yet. 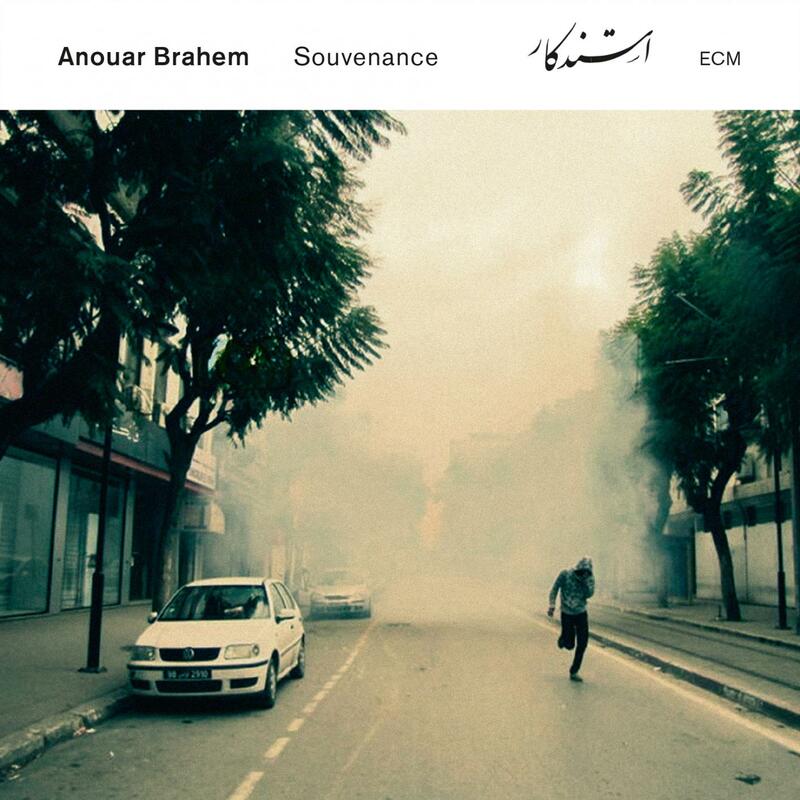 During the revolution that gripped his native Tunisia at the turn of 2011, Brahem experienced a creative drought and spent the following years gathering enough water to nourish the seeds that would become Souvenance. The title means “remembrance,” but the music looks resolutely forward, drinking in uncertainty as if it were the only sustenance visible from atop the rubble of uprising. Though Brahem claims no direct correlation to these events, their echoes remain, needing to be heard. Souvenance brings together a new assemblage for Brahem, who situates his rosette within a quartet completed by François Couturier on piano, Klaus Gesing on bass clarinet and soprano saxophone, and Björn Meyer (formerly of Nik Bärtsch’s Ronin) on electric bass. One further layer finds realization in the Orchestra della Svizzera Italiana, under the empathic direction of Pietro Mianiti. Given the size of this gathering on paper, one might expect what the record’s press release describes: “The strings have a glowing transparency and fragility in these pieces, often providing shimmering texture against which the contributions of the quartet members—and, above all, Anouar Brahem’s unique oud-playing—stand out in bold relief.” But this is precisely what you won’t get. The strings are anything but fragile. They bind the very strength of resolve that brought Tunisians through civil unrest with spirits intact. As for Brahem’s oud, it is one of many elements feeding a uniform sound and therefore more content to recede than stand out. This is what gives the album its glowing transparency. Its virtuosity is to be found not in relief but in restraint, atmospheric integrity, and melodic truth. Here is none of the youthful exuberance of 1991’s Barzakh (his ECM debut) but something more like the reflective countenance that shades Brahem’s 2006 trio effort Le Voyage de Sahar. This project shows him at the height of maturity. Couturier runs threads through them, but does so not to anchor but to reveal an underlying elasticity. With a gradualness than can only be described as pathos, the strings expel their breath to yield the organic oud. Within this collective snaps the large rubber band of Meyer’s bass, which goads the ensemble into acts of surprising lucidity and shines like the sun to Brahem’s moon. Between these signposts stretch the unanswered questions of an “Ashen sky” and “January.” Both would seem to reference the album’s cover photograph (taken on the streets of Tunis by Nacer Talel on January 18, 2011) and its pluming curtain of smoke. Melodies are the lifeblood of Souvenance, and nowhere more so than in the title track, of which the modal pianism barely hints at sea changes in the air. As the program’s thematic heart, it percolates even more deeply than the rich surroundings of “Tunis at dawn” or “Youssef’s song.” In the latter, Brahem paints aftermath from a distance—a city in flames which barely appears to move and betrays nothing of the violations committed in its walls. Here and there, as the music flows toward closure, a bass line or reed motif will intertwine with some other branch of the tree. Homogeneity prevails, reaching cohesion in “Nouvelle vague,” a pulsing tune reprised from 1995’s Khomsa and arranged here for strings by Estonian composer Tõnu Kõrvits. Do we fight for a world drunk at the wheel or do we jump from the vehicle before it drives off a bridge? This seems to be the conundrum faced by victims of injurious political agendas around the globe. With so much disgrace to (mis)understand, it’s all we can do not to separate ourselves from it. Bound as we are to fundament by stem and stalk yet reaching for firmament by leaf and petal, the test before us is whether or not to accept these things as a part of the human fabric, to remain standing even when all that we know is uprooted. Brahem, I dare say, shows us one possible path toward balance: the plectrum as fulcrum. In less uncertain terms, music is the answer to difference because its questions are greater than all of us put together. Sometimes “world music” exists in its own bubble, funneling cross-cultural influences to enliven self-awareness. Not so with Souvenance, which looks within to understand what transpires without. It’s not a statement, a manifesto, or a critique. It is pacifism at its utmost. This is a beautiful review. These are important questions that you ask: “what causes any strand of the human loom to snap”? “Do we fight for a world drunk at the wheel or do we jump from the vehicle before it drives off a bridge?”‘ “…whether or not to accept these things as a part of the human fabric, to remain standing…”? and I was grateful to stumble across your thoughtful engagement with what has been created in this album.